The Peak District is the UK's first national park – and is visited by millions of visitors every year. A diverse landscape of wild moors, lofty hills, spectacular gritstone edges and idyllic river valleys, it offers something for everyone. There are family activities galore in and around the national park – here's a selection of our favourite things to see and do. The award-winning Old House Museum in Bakewell is a Tudor house packed with fascinating facts and artifacts. 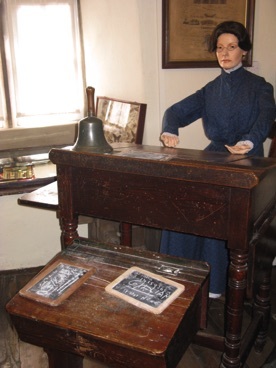 One of the oldest surviving houses in the Peak District, it was divided into five mill-worker's cottages by Sir Richard Arkwright in the 19th century, and now makes a great place to immerse yourself in history for a couple of hours. There are dressing up clothes to try on, a real Victorian dolls' house to play with, and a chance to see how people in Tudor times went to the loo! 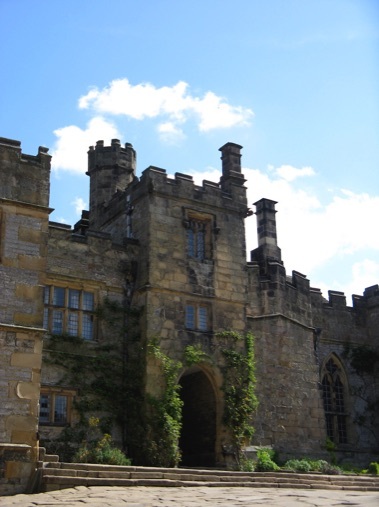 Haddon Hall is another good destination for your budding historians. Dating from the 12th century, it's believed to be the finest fortified medieval manor house in the UK, and has featured in many films and TV series, including cult classic The Princess Bride and the BBC adaptation of Jane Eyre. Kids can play king or queen of the castle in the courtyard, and hunt for the gargoyles that adorn the walls and were thought to ward off evil spirits. 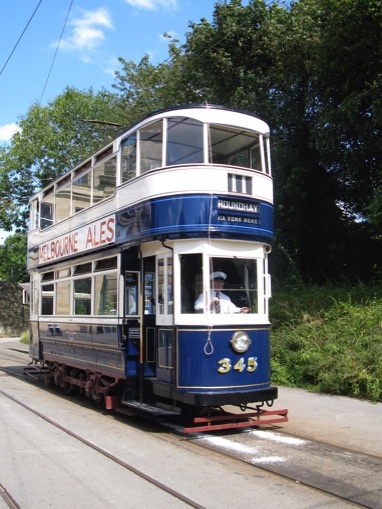 Most kids enjoy riding on different forms of transport, and for vehicle-mad youngsters it's hard to beat a day out at Crich Tramway Village. 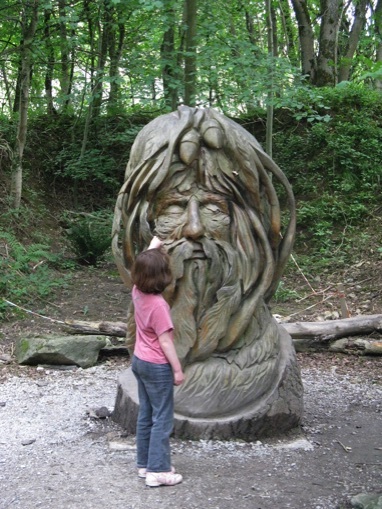 Here you can ride up and down on a tram to your heart's content and follow a woodland trail to find sculptures, such as a giant troll and the Green Man. The museum's 1940s weekend in August will give children a chance to learn all about the Second World War, including air-raid warnings, rationing and the blackout – they'll able to wow teachers with their knowledge come September. There's even an old-fashioned sweet shop where you can buy gobstoppers, pear drops and other sweet treats. If your kids leave the Tramway Village begging for more, try taking them up to the Heights of Abraham on a cable car, where you'll find adventure playgrounds and caves to explore. Or let them play Harry Potter in an old-fashioned railway carriage on board a Peak Rail steam train. 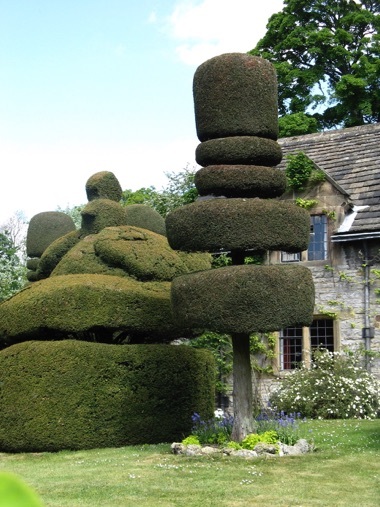 The train runs from Matlock to Rowsley – hop off half way at Darley Dale to wander around the picturesque Whitworth Park with its large duck pond (look out for herons), outdoor café, and children's play areas. 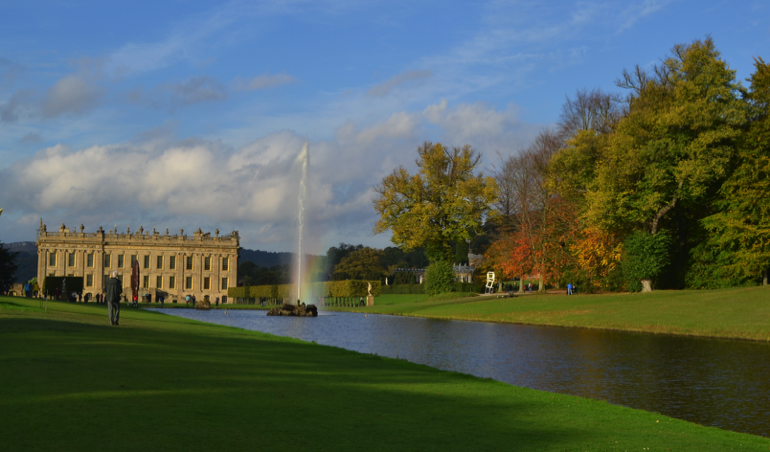 Chatsworth House is a must-see if you're visiting the Peak District. The house is believed to be the inspiration for Pemberley – the home of Fitzwilliam Darcy in Jane Austen's much-loved story Pride and Prejudice. It's said that Austen worked on the novel whilst staying in nearby Bakewell. Scenes from the 2005 film Pride and Prejudice, starring Keira Knightly, were filmed at Chatsworth, and you may recognise some of the settings as you tour the house. The grand staircase and ceiling of the Painted Hall featured in the film, as did the Sculpture Gallery. 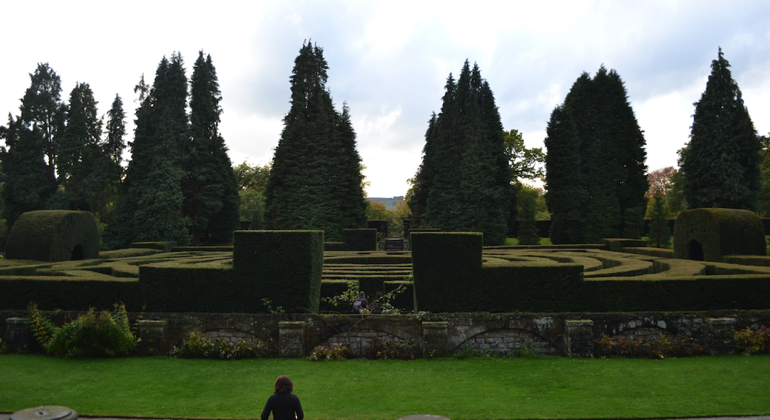 The maze in Chatsworth's gardens is a fun place for kids to let off steam – race to the centre, then try and find your way out! The gardens are full of secret corners that will delight children – look out for the squirting Willow Tree Fountain, the sensory garden, fish-filled ponds and a hidden grotto. Children will also love the farmyard, where they can handle small animals, meet massive shire horses and tiny piglets and learn how to milk a cow. There is an exceptional children's play area at the farmyard, with adventure play equipment – including rope bridges, slides and ziplines – and a stream to paddle in. Another great Peak District house with Pride and Prejudice connections is the National Trust's Lyme Park – it was here that the highly acclaimed 1995 BBC adaptation of the novel was filmed. 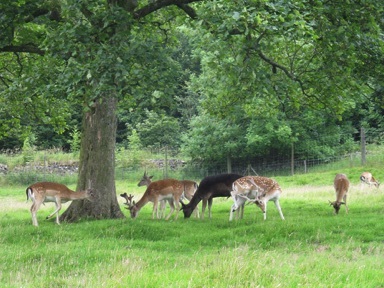 The 1,300-acre estate, on the edge of the Peak District at Disley, near Stockport, offers fantastic walks through rose gardens and ravines with opportunities for spotting red and fallow deer. Or wander around the reflecting lake that Mr Darcy (played by Colin Firth) famously dived into shortly before meeting Miss Bennet. 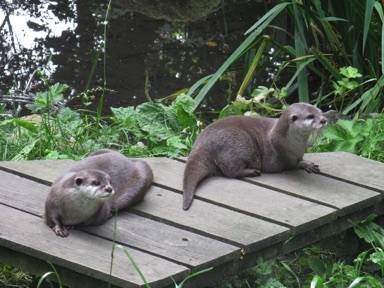 If your kids are wild about wildlife, the otters and owls at the Chestnut Centre, near Buxton at Chapel-en-le-Frith, are sure to delight. Follow the trail through the deer park, looking out for the resident population of sika and fallow deer, then wander through the woods to see the otters and owls. Here you can visit Manoki and Panambi – two giant South American otters – and enjoy their antics as they dive and swim in the water. As well as a permanent home for many different species, the Chestnut Centre is also a stopping off point for animals that have been orphaned or injured; after treatment many are successfully returned to the wild. More flora and fauna can be found by exploring one of the Peak District's beautiful limestone dales. Pretty Lathkill Dale can be easily reached from the villages of Monyash or Over Haddon. From April to June, early purple orchids can be seen on the grassy banks of the dales; also look out for dippers, bobbing up and down comically on rocks in the river. Or head down the dale at dusk to see bats and moths. In fact, there are opportunities to spot wildlife on almost any Peak District walk. Look out for red deer at Froggatt Edge, Curbar Edge and White Edge; skylarks and lapwings flying over upland farms and moors; and water voles along the banks of Cromford Canal. With some of the UK's best walking available in the National Park, you're spoilt for choice. Just pick a path, pack up a picnic, and get out there!